The revised Swix Pro Fit 2 strap has been developed in collaboration with World Cup skiers. It consists of neoprene pads with a solid layer of nylon on the outside. The combination allows efficient power transfer for handling, while ensuring optimal comfort. Compatible with Swix handles and grips. how do you measure for sizing for these straps? Unfortunately, at this time there is no size chart available for the Swix Pro Fit 2 Strap with corresponding hand measurements. This is a difficult question to answer as it also depends upon the thickness of the gloves that are worn as well. We were able to take a look at a few Swix poles that come stock with the Pro Fit 2 Straps to hopefully give you a better idea of sizing. Swix poles up to 140cm come with a Medium strap. Above 140cm, they are equipped with Large straps. The average male hand will probably take a large strap. Does this product come with one strap or two? This is a pair of straps, left and right. Do the straps come with the wedges that push down into the handle to hold the strap in place? If not, can I buy those from you as well? Thank you for your inquiry. 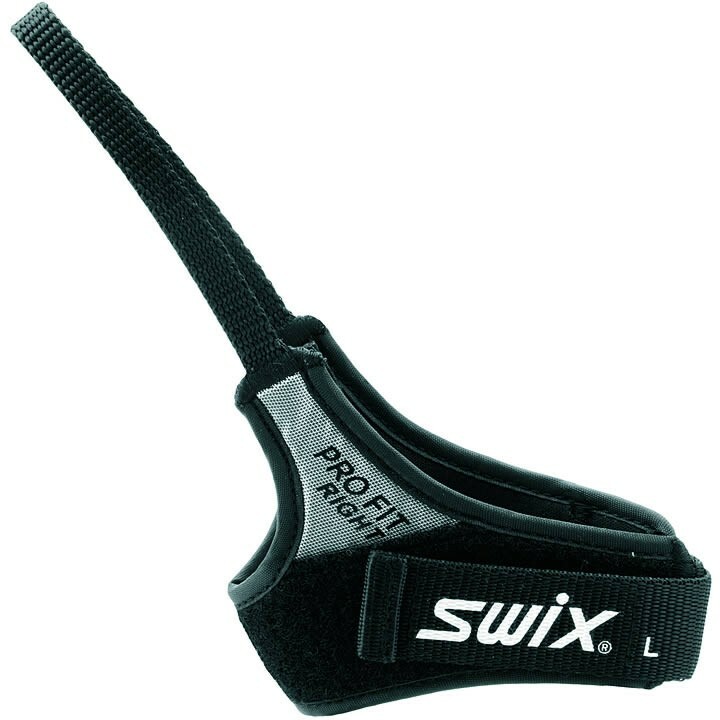 The Swix Pro Fit 3D Straps do not include the lock wedge. We do have a few lock wedges in stock at the moment. We would need to know what pole/grip you are using in order to make sure they are compatible. If you let us know what pole/grip you are using we can have our Nordic experts check inventory to see if we have anything that will work!